Mini rectangular flashlight with compass and split ring, battery included. Super bright white LED light with compass built in. 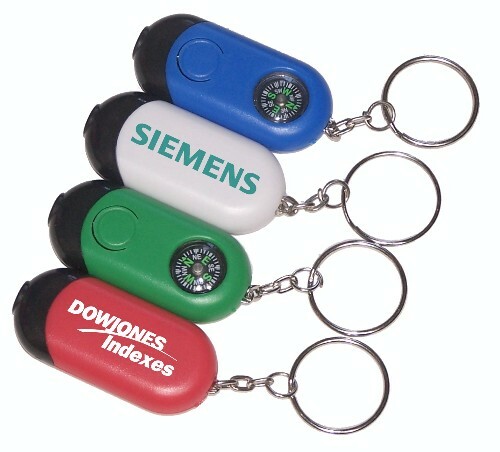 Ideal for key holder, key tag, key chain, key ring, safety program, emergency, travel, camping, and self promos. 2" x 1" x 1/2"